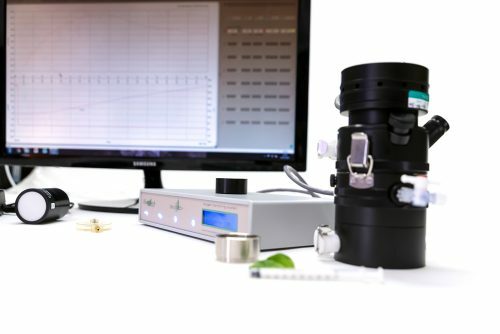 Fibre-optic adapter to allow simultaneous fluorescence measurement using FMS fluorimeter. 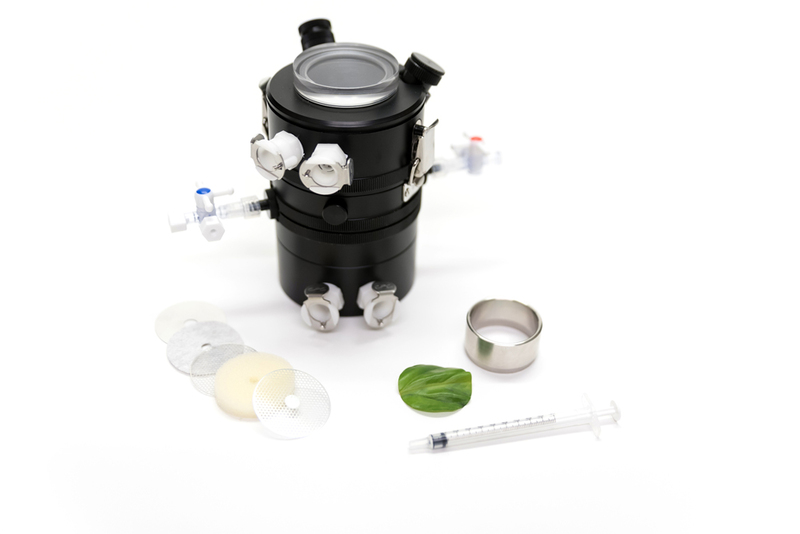 The LD2/3 leafdisc electrode chamber allows oxygen uptake/evolution measurements to be performed from leafdiscs, excised needles, algae, mosses, lichens etc with a surface area of up to 10cm2. A prepared S1 oxygen electrode disc is mounted directly below the sample-chamber with the dome of the electrode forming the sample-chamber floor. 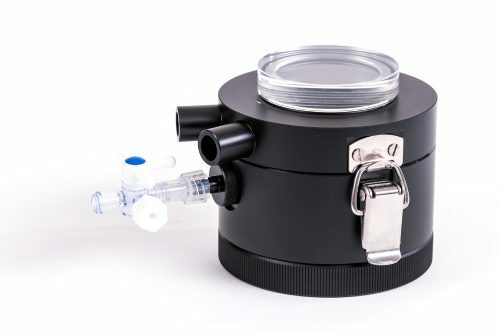 LD2/3 provides precision temperature control of sample and sensor via upper and lower water jackets fitted with self-sealing ports for connection to a thermoregulated circulating waterbath. 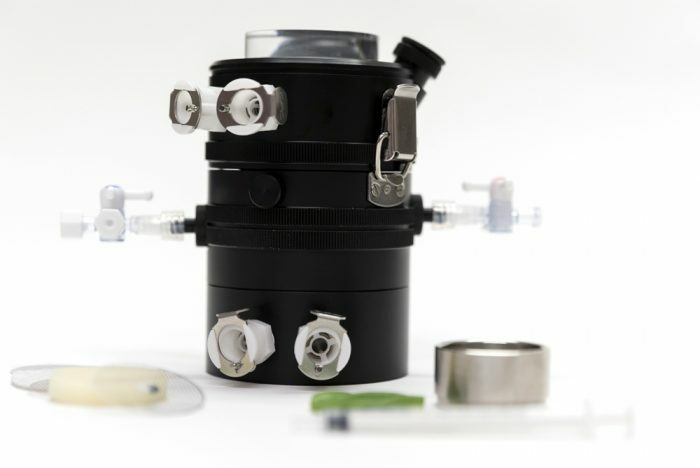 The LD2/3 is constructed from black acetal which provides the ability for dark adaptation of samples or oxygen measurement in complete darkness. The sample-chamber section has 2 gas ports providing both a calibration and flow-through capability for rapid changes in the gaseous environment above the sample. 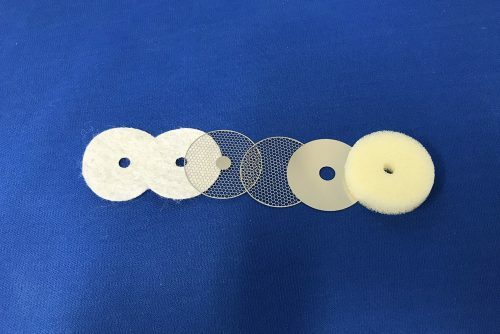 An additional tapped and stoppered hole is provided for the introduction of an optional temperature sensor or similar auxiliary sensor. A clear cast acrylic top window allows illumination of the sample via the LH36/2R LED light source with a further 16mm optical port for either additional illumination or insertion of a quantum sensor, etc. 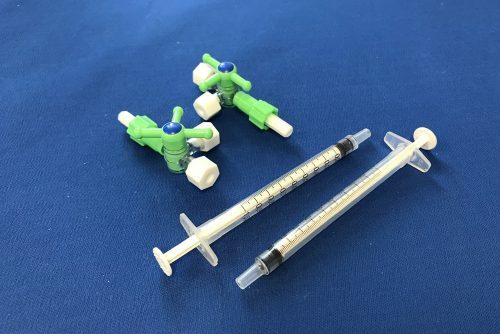 An additional port is orientated more steeply towards the sample and enables the fibre-optic cable from the FMS 1+ or FMS 2+ modulated fluorimeters to be positioned close to the sample allowing simultaneous measurement of chlorophyll fluorescence.